35 kms away from Bangalore’s run-of-the-mill culture, there lies a village where dance is the only culture. 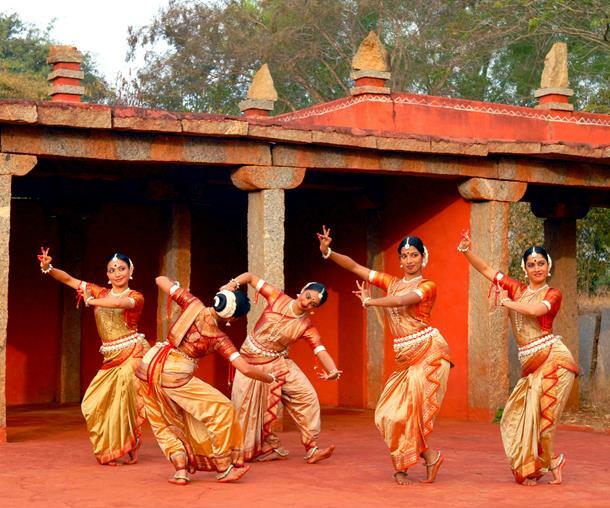 Nrityagram is a India’s first dance village founded by the renowned Odissi dancer Protima Gauri in the year 1990. 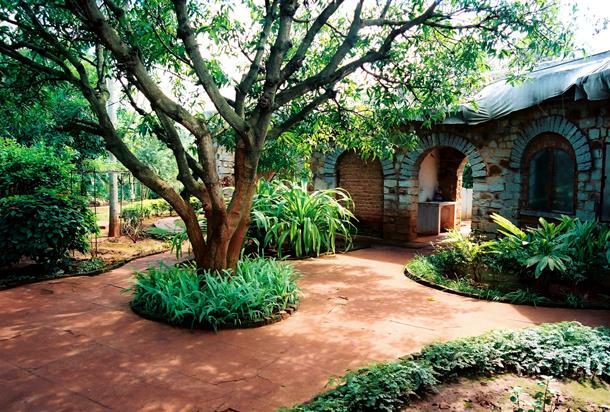 Nestled among the last surviving grasslands of Bangalore, Nrityagram is a Gururkul offering training in Indian classical dances like Odissi, Mohiniattam, Kathak, Bharatnatyam, Kuchipudi, Kathakali and Manipuri. The drive to Nrityagram is lined with trees with the occasional bumping of cattle. You can see the dancers practicing and explore the rock structures around. It is a well-planned village with a ‘Temple Of Dedication’. The temple has an image of Protima Bedi’s guru in a dance pose. 5. The village is remote and locating it may be a problem. It is advised to save the location on Google Maps beforehand.